Cheap flights to Australia: Melbourne for only €657! Virgin Atlantic now offers really cheap flights to Australia! 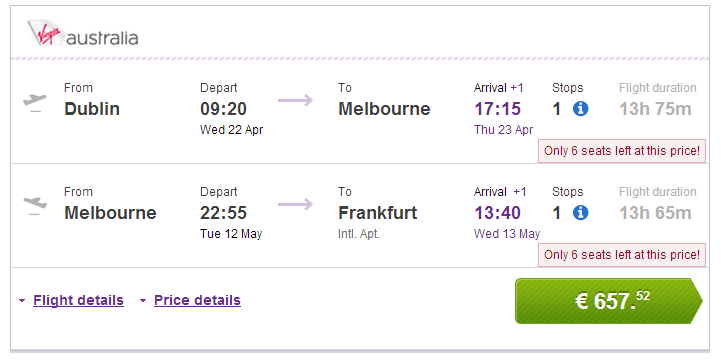 Multicity tickets Dublin – Melbourne – Frankfurt are available for only €657! Travel dates are in April and May 2015. « Cheap flights to California: San Francisco & Los Angeles for only €452!